Executives from JCCs write Attorney General Sessions, express frustration with efforts to combat rash of bomb threats. Executives from 141 Jewish community centers on Wednesday sent a letter to Attorney General Jeff Sessions in which they expressed their frustration with the efforts to combat a rash of bomb threats, JTA reported. 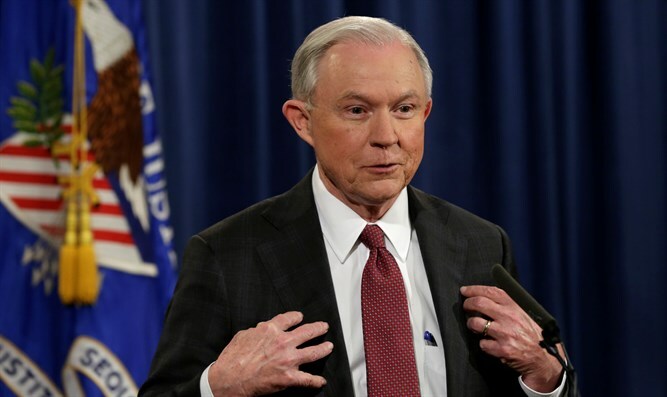 The letter, sent by the JCC Association of North America, the national organization of Jewish community centers, requested a meeting with Sessions and urged the Justice Department to do more to stop the threats. On Wednesday, bomb threats were emailed to four Jewish community centers in Colorado, Delaware, Connecticut, and western Canada. Those emails came a day after a wave of threats targeted 16 Jewish institutions. The threats to the JCCs continue even after the FBI last week arrested a man in St Louis suspected of being behind at least eight of more than 100 threats made in recent weeks to Jewish schools, community centers and other institutions. The man, Juan Thompson, who was believed to have made the threats to avenge a former romantic partner, appears to have been a copycat. Wednesday’s letter to Sessions praised local law enforcement’s response to the incidents and recognized President Donald Trump’s condemnation of them. The Department of Homeland Security has made its regional experts available to JCCs, and leaders of major Jewish groups met with FBI Director James Comey last week. Local JCC directors have repeatedly praised the response of area law enforcement.